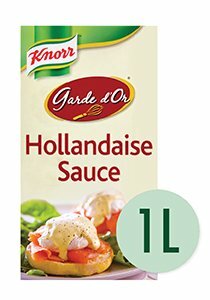 Knorr Hollandaise Sauce brings the rich flavour of a classic French sauce to your table. Whether you're making traditional Eggs Benedict or something more innovative like Texas Benedict, our sauce will deliver the taste your guests will enjoy. As per various recipe suggestions. This sauce is fantastic on benedict's, but a great tip is to use it to make carbonara sauce. Get advance notice of special offers, new products, culinary tips and recipe ideas. Just complete this form. Thank you for subscribing to our newsletter. You will shortly receive an email confirming your subscription.